2nd Place at the Dragon Boat Challenge! 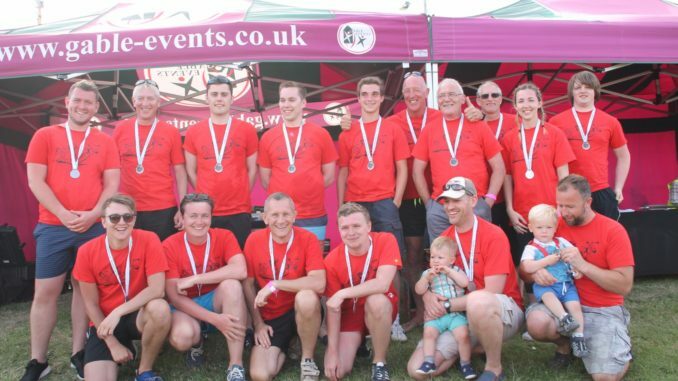 What another incredible year for the Rotary Dragon Boat Race at Pugneys Lake! The band were delighted to achieve 2nd place in the grand final, proving that teamwork and a belly full of burgers really does pay off! 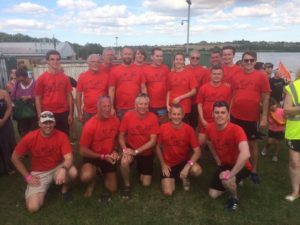 The band entered the Dragon Boat Challenge as the ‘Musical Mariners’ where we battled against 40 other teams, paddling the 250m course, to emerge victorious. Over the last 9 years, the annual Rotary Dragon Boat Race has helped to raise over £250,000 for a wide range of worthy causes, and the Wakefield and Huddersfield Rotary Clubs are looking forward to celebrating its 10th anniversary next year – we can’t wait to be part of it! Feel like you’ve got what it takes to beat us? 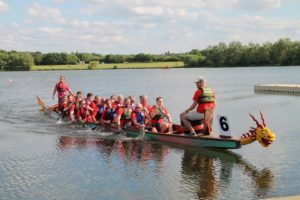 Enter your team for next year via the Rotary Dragon Boat Challenge website by clicking the following link: www.rotarydragonboatchallenge.org/entry.